The U.S. Senate has approved a resolution authored by U.S. Senator Cindy Hyde-Smith (R-Miss.) that honors the families of fallen members of the Armed Forces by designating Sept. 23-29, 2018, as "Gold Star Families Remembrance Week." The resolution was approved with unanimous consent and commemorates families affected by the loss of a loved who gave the ultimate sacrifice in service of the United States of America. "Gold Star Families Remembrance Week gives us an opportunity to honor and recognize the sacrifices made by the families of members of the Armed Forces who have made the ultimate sacrifice to protect our freedoms and secure our nation," Hyde-Smith said. 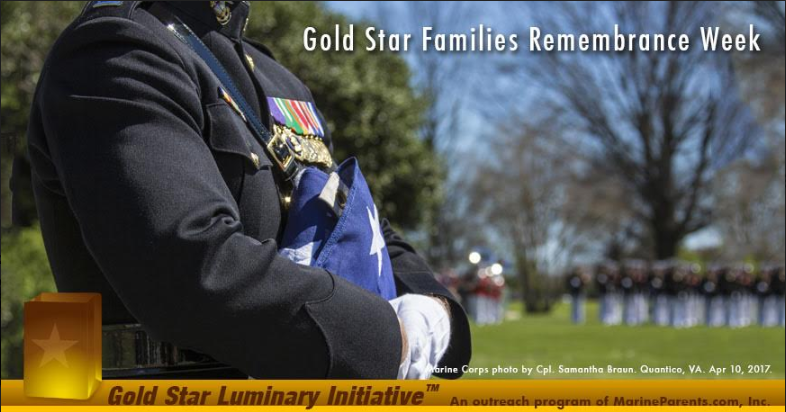 Gold Star Families Remembrance Week will serve as a prelude to Gold Star Mother's and Family’s Day, which has been observed on the last Sunday of September since 1936.